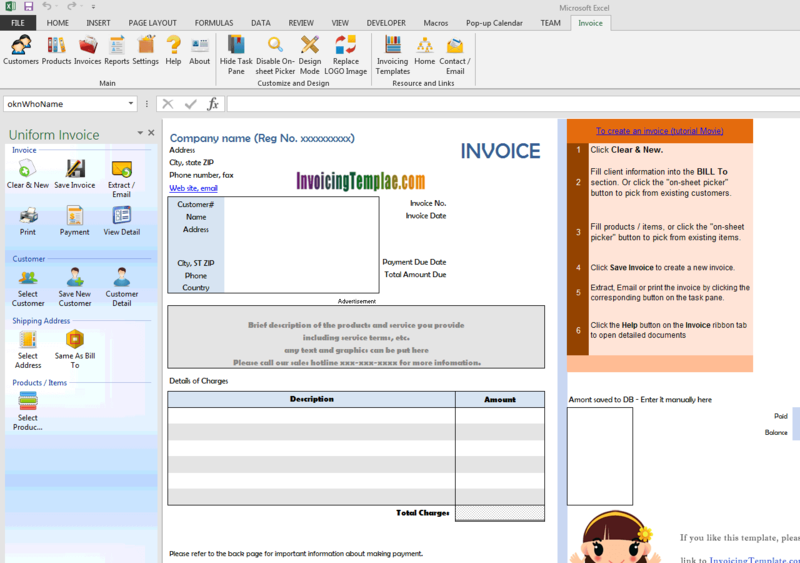 This free template in Excel spreadsheet format is suitable for business who offer web hosting or other service, especially those small-scale businesses, like a web hosting reseller that are not ready for a complicated accounting or invoicing system. 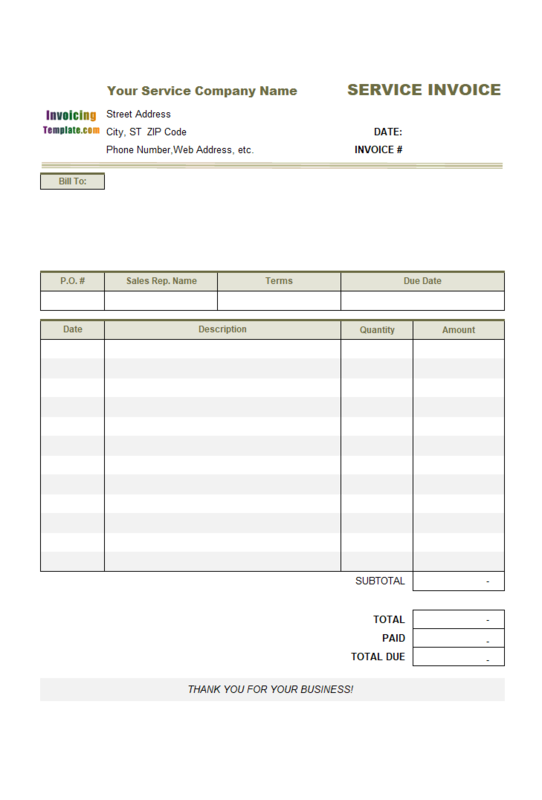 c2007 now includes the customized invoice template for the latest version of Invoice Manager for Excel. This is what you will see when you open web-hosting.xlsx. 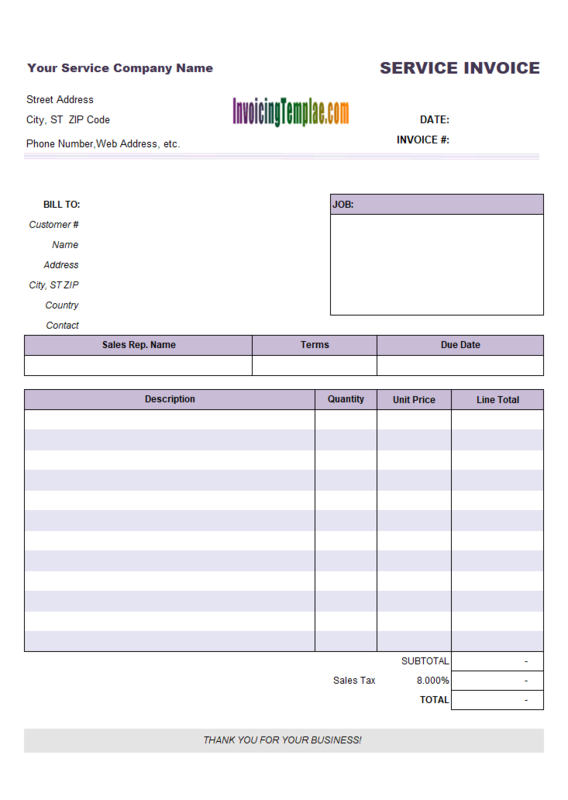 This free template in Excel spreadsheet format is suitable for business and companies who offer web hosting or other service, especially those small-scale businesses, like a web hosting reseller that are not ready for a complicated accounting or invoicing system. 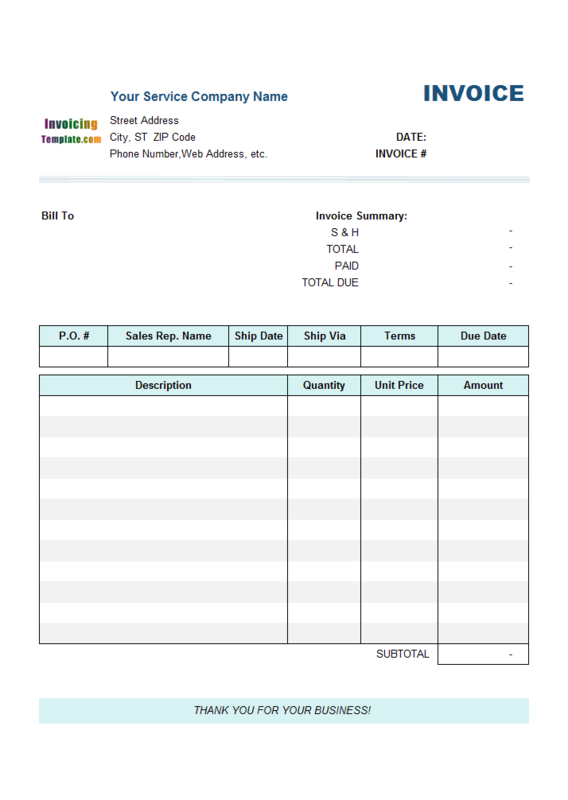 The template has two columns, a description column and an amount column. 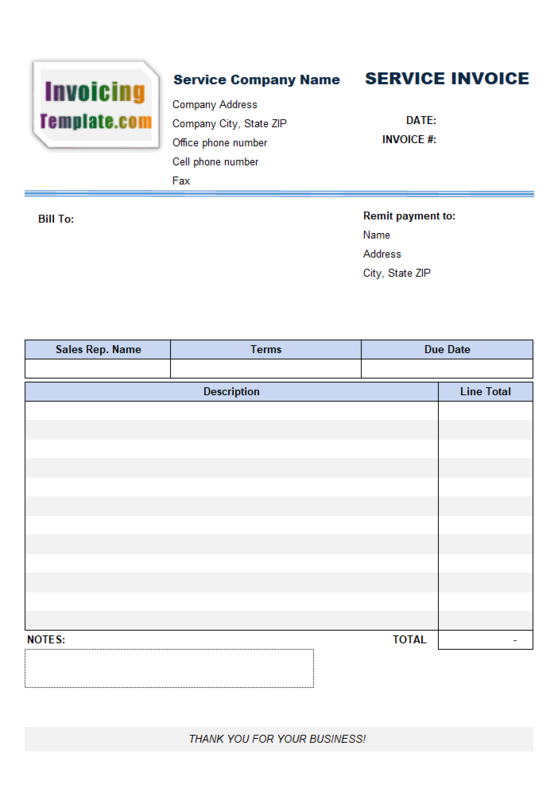 The amount column is manually editable, as it is not calculated from something like Quantity and Price, or Hourly and Rate. 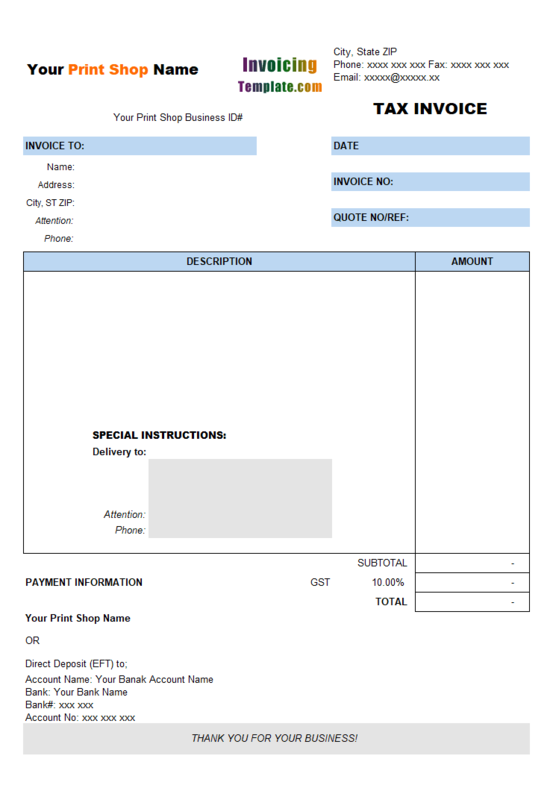 This makes the template suitable for general service businesses. 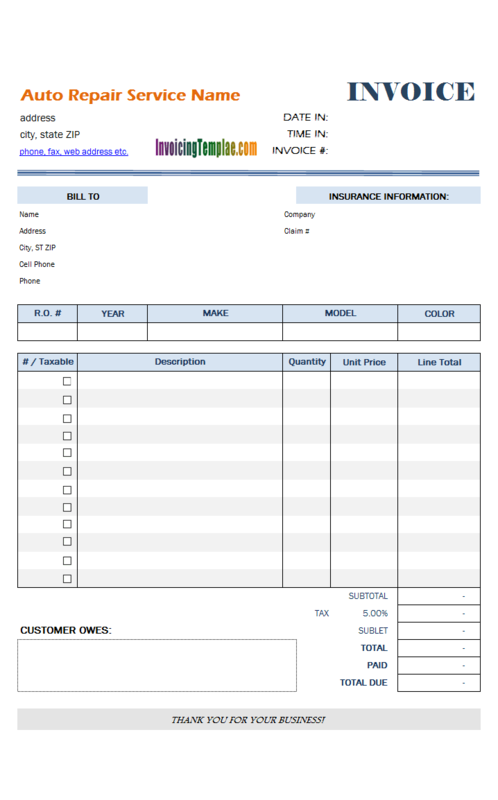 With the "Description" column you can enter the service performed, such as the hosting plan a client purchased from you. 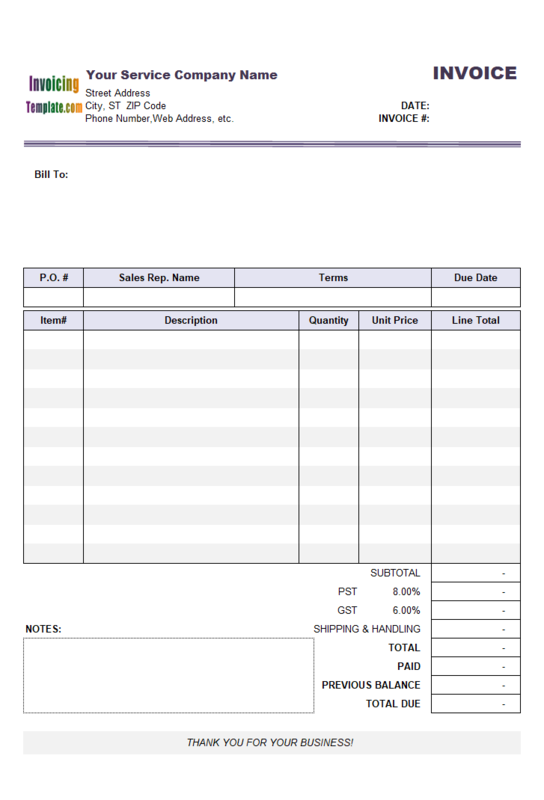 The template has 6 lines on the invoice body. If you enter a description, the amount cell shows the word 'Free'. 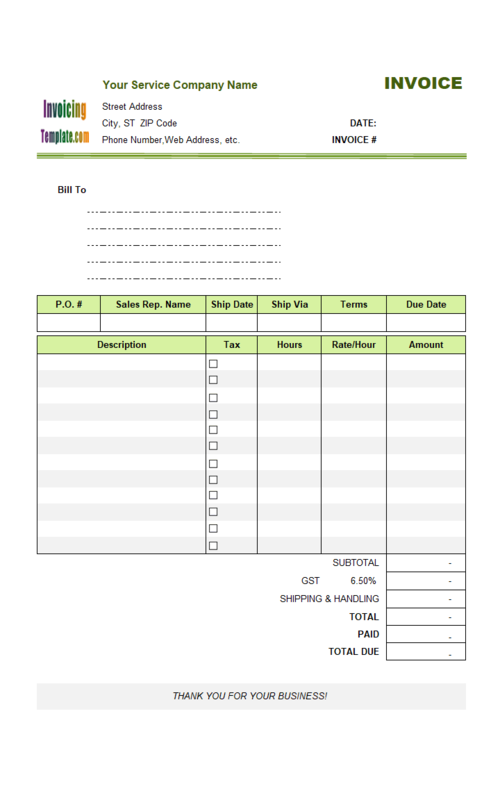 If you enter the actual amount in the cell outside the print area, the entered amount appears in the print area. 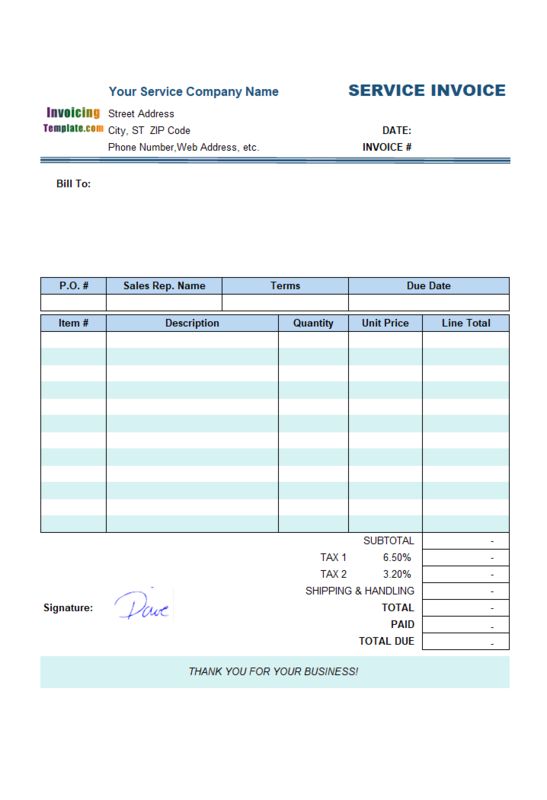 This feature makes it possible for you to clearly display the word 'FREE' for the products or services you offered for free. 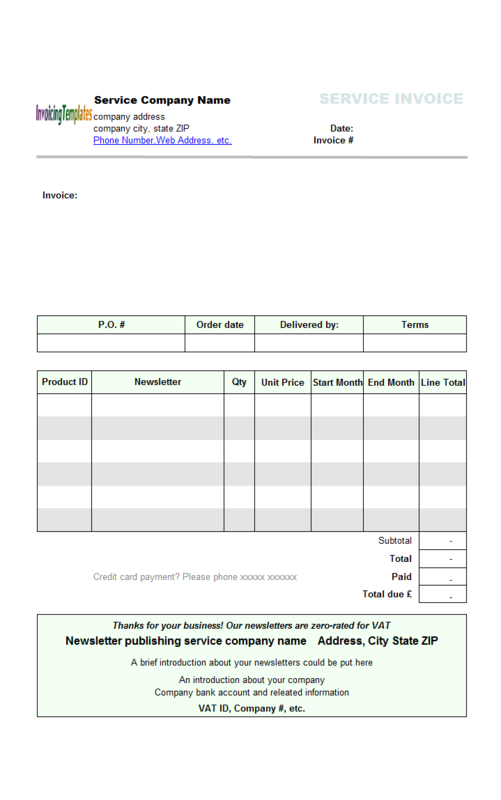 There is also a payment slip attached on the bottom of the invoice form. 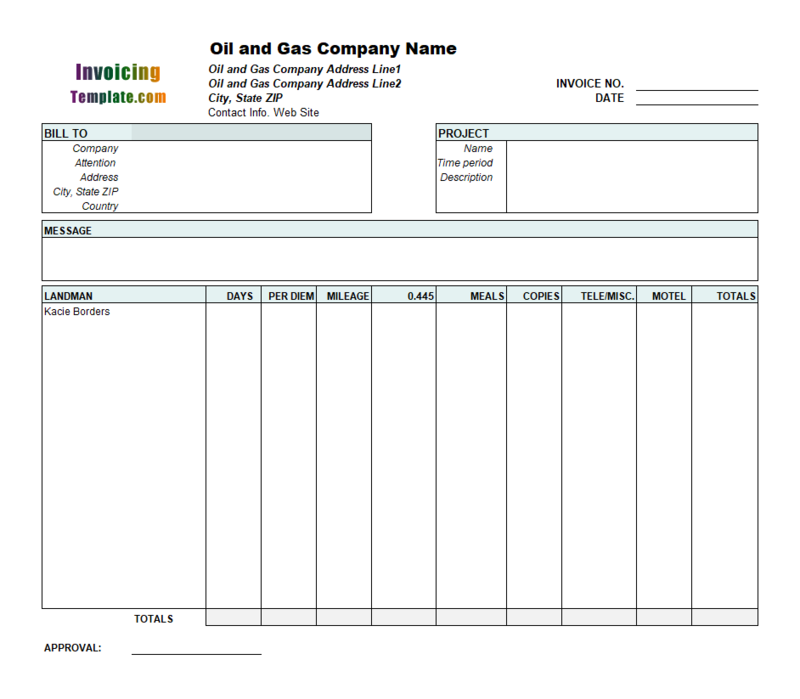 For those of you who are new to this - a payment slip is a document sent by a creditor to a debtor with all the necessary information filled in order a payment to take place. 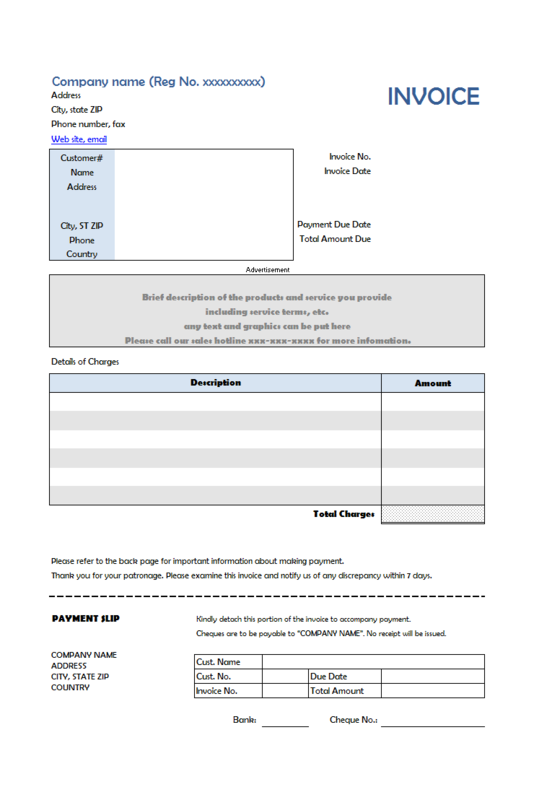 The debtor confirms the payment by her/his signature and the sum due to be paid, in case the latter has not been included. 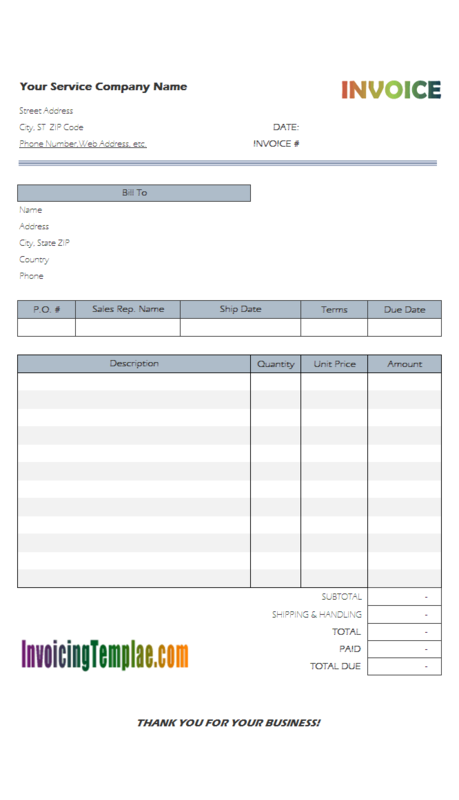 This Excel-formatted free invoice template is printable on standard A4 paper. 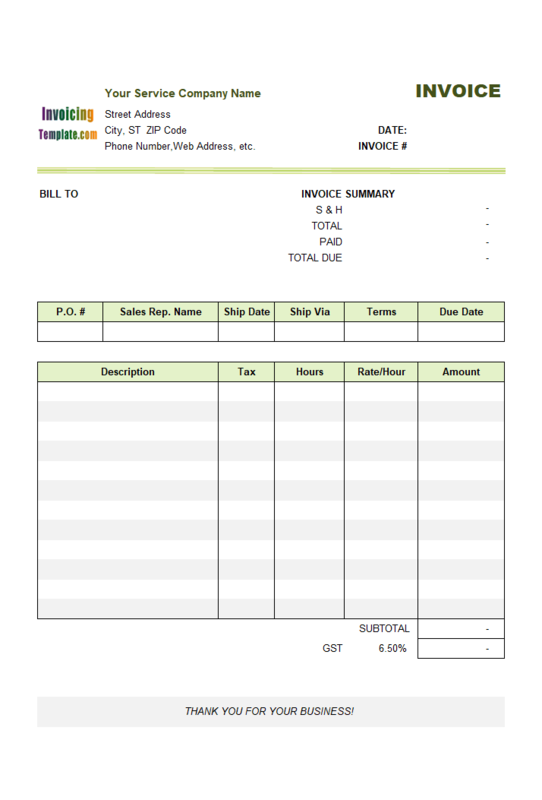 Like other form designs here on InvoicingTemplate.com, Web-hosting Billing Form is free (offered to you at a price of 0.00USD). It works on Windows XP and all newer versions of Windows, and Excel 2007, 2010, 2013, 2016 or 2019. Fixed an error that shows "Unable to connect with database c2-007". New color theme / style. 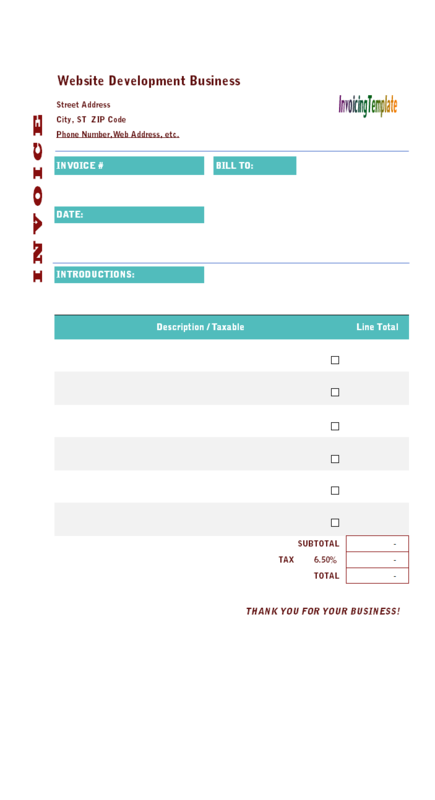 Simplify form layout by removing unnecessary lines. 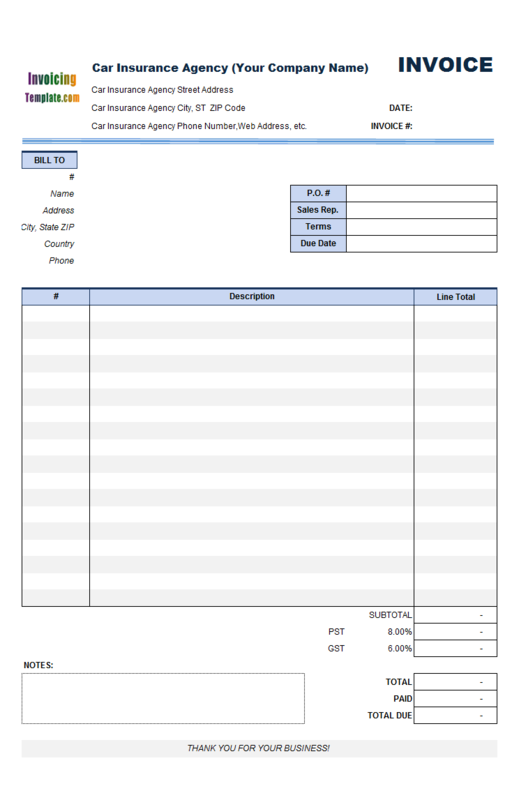 Removed all the data validations from the worksheet.